Last weekend, Kevin and I visited the beautiful city of Budapest, Hungary. 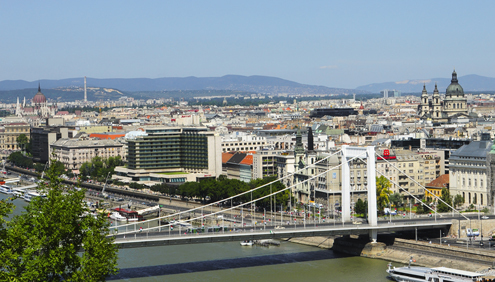 Budapest is separated by the Danube River with Buda to the west and Pest to the east. Nine bridges link Buda to Pest. 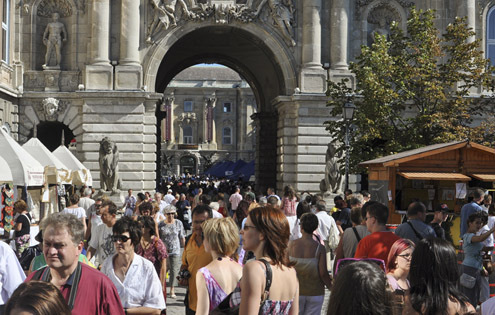 Pest is very flat and bustling with activity compared to the hilly and more residential Buda. The diverse physical landscape and architectural styles make this city special. We spent one day in Pest and one day in Buda soaking up the sights as well as the warm, summer sun. 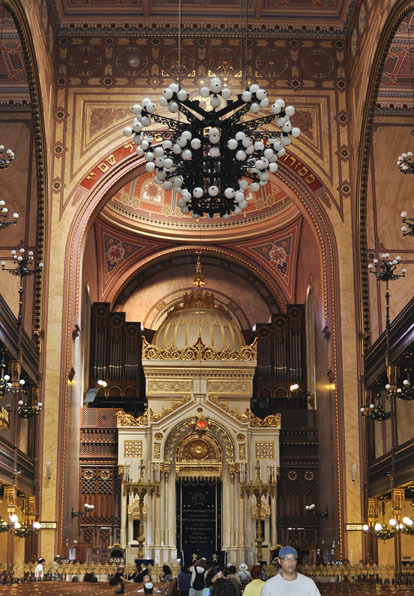 The Great Synagogue, or Dohány Street Synagogue, is the second largest synagogue in the world (behind Temple Emanu-El in New York City) and seats approximately 3,000 people. It was built in the 1850s in a Moorish style with an ornately decorated interior. The synagogue is home to a museum as well as the Memorial of the Hungarian Jewish Martyrs, funded by the actor Tony Curtis. 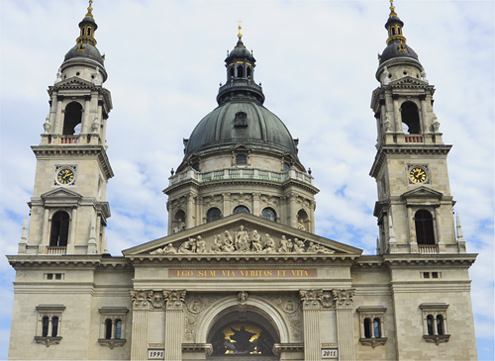 The massive, Roman Catholic, St. Stephen’s Basilica is named after Hungary’s first king, Stephen, who was canonized for converting the nation to Catholicism. His mummified right hand is preserved within a shrine in the church. (It is an interesting sight.) The Feast Day of St. Stephen was on Saturday, so Budapest was in a very festive mood. The Basilica’s magnificent dome measures 315 feet high. 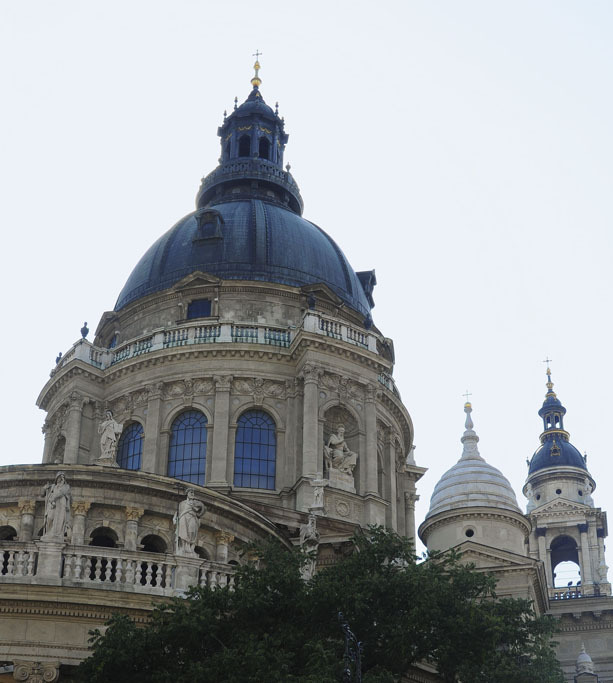 It towers over every building in the city, except for the Hungarian Parliament Building whose dome is of equal height. 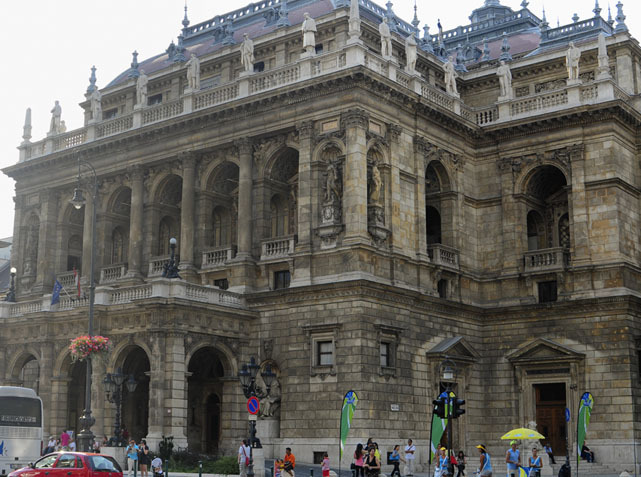 The Hungarian State Opera House tour was a real treat. The lavish, gold, horseshoe-shaped auditorium is strikingly beautiful. The opera house opened to the public in 1884 and is still in use today (the season runs from September to June). As part of our tour, we had the pleasure of listening to a short, two song, performance by a female opera singer. Even though she did not perform in the auditorium, it was still an enjoyable experience. 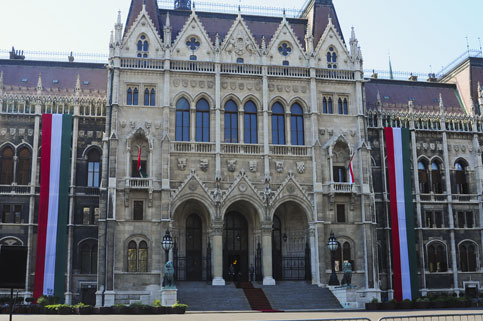 The Hungarian Parliament rolled out the red carpet for us upon arrival. (It was a nice touch.) The design of this building is similar to the Houses of Parliament in London—both are equally stunning. 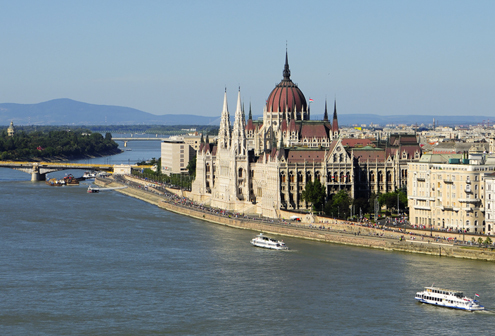 Situated on the banks of the Danube, the central dome of Parliament stands out proudly. Unfortunately, we did not get a chance to tour the building itself but heard the interior is magnificent. 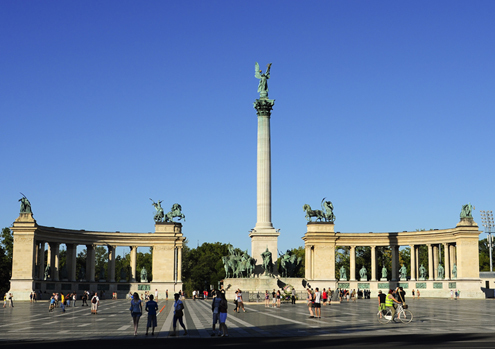 Heroes’ Square, located at the end of Andrássy Avenue, is home to the massive Millennium Memorial. 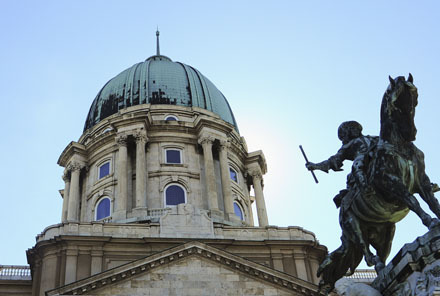 This memorial features statues of the men who founded Hungary as well as Gabriel, the Archangel, located high atop the column in the center. It is an impressive and dramatic square. 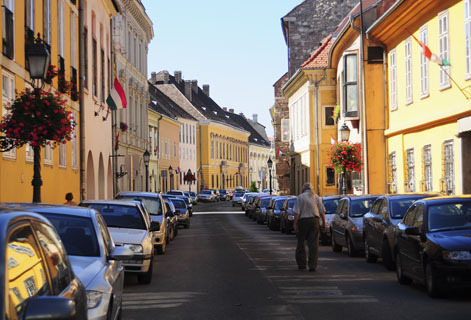 Buda is home to the Castle District where medieval buildings abound. 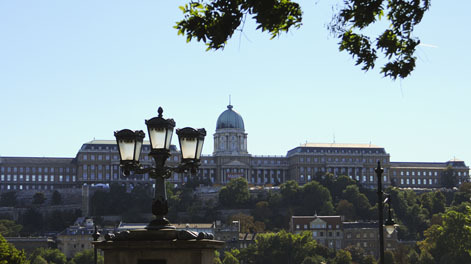 It is also home to Buda Castle—the palace complex of past Hungarian kings. The area now serves as a cultural center with a number of museums and a national library. For pop music fans, Buda Castle was the site of Katy Perry’s Firework video, so remember that during your next trivia game. The Festival of Folk Arts took place over the weekend at Buda Castle—a wonderful mélange of music, food, arts, crafts and people. 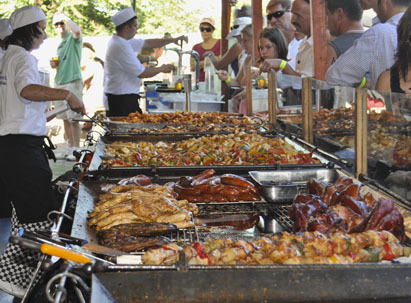 It was fun to be a part of this significant, Hungarian cultural event. Our visit to Budapest was first-rate. It is an enjoyable city to explore, especially with such fantastic weather. Delicious French-inspired, Hungarian food served by a pleasant staff. Both Kevin and I had traditional Hungarian dishes with Hungarian wine—all excellent. The café and famous confectionery serves up the best pastry in Budapest. 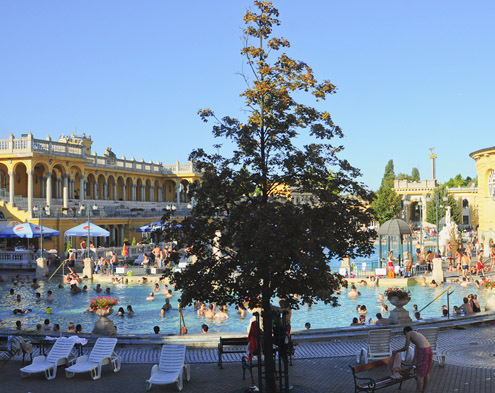 This entry was posted in Hungary and tagged Buda Castle, Danube, Heroes’ Square, St. Stephen’s Basilica, Széchenyi Baths. Bookmark the permalink. 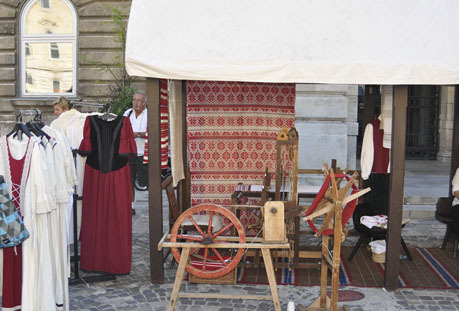 What gorgeous photos, especially the Great Synagogue, St. Stephen’s Basilica and of course, the Festival of Folk Arts. Budapest should appear on everyone’s vacation list!